Samsung has teased the Android 5.0 Lollipop update for the Galaxy Note 4, but we’ve yet to see it show up. Other Samsung devices like the Galaxy Note 3 and Galaxy S5 has received the update in some regions. As per SamMobile’s Editor-In-Chief, the the Galaxy Note 4 Lollipop ROM is still in the hands of the folks at Oculus who are tweaking it for the Gear VR, which is the reason the update has not yet made its way on to the device. Samsung unveiled its own Gear VR headset, which works with the Samsung Galaxy Note 4 for virtual reality. The Gear VR headset is developed by the folks at Oculus so they are one have to tweak the OS to make it work properly rather than Samsung. 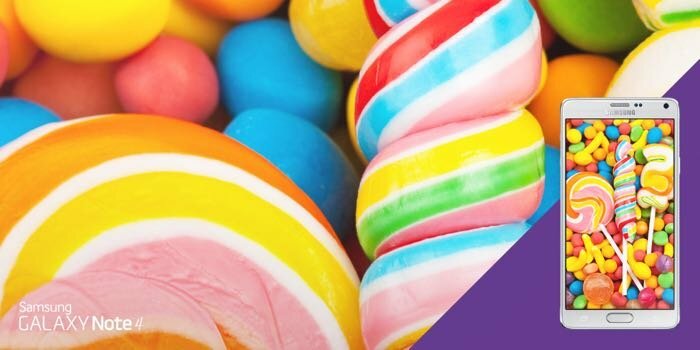 Android 5.0 Lollipop is probably the biggest Android update to date, and comes with many feature such as the new Material Design, lock screen notifications, performance improvements, ART runtime by default, new multitasking interface, security enhancements, and much more. We’ll update you as soon as Samsung starts rolling out the Android 5.0 Lollipop update for the Galaxy Note 4.